For many, many years, Honda’s CBR600F series motorcycles have been among the largest selling two wheeled vehicles on the planet. Lauded by the press and owners alike for their performance, practicality and reliability, about the only criticism leveled against Honda’s 600s has been over its conservative styling. Of course, the 600 class is the most competitive street bike class there is, and Honda now has fierce competition from all of its Japanese rivals, as well as Triumph. These bikes have to be Doctor Jekyll and Mr. Hyde — competent street mounts and race-winning supersport mounts at the same time. Few people would argue against the fact that Yamaha’s brilliant R6 has moved the 600 class toward the sports end of the spectrum, and away from the street comfort end. Honda has always tried to strike a balance that gives the street rider a reasonably comfortable ergonomic package and decent wind protection, without sacrificing too much on the sporting end of the scale. 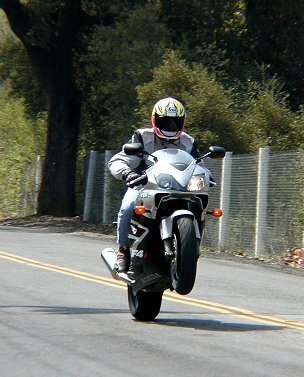 For 2001, Honda has perhaps reacted somewhat to the R6 by moving its 600F4i slightly towards the sports end of the spectrum, while still maintaining a reasonably comfortable, streetable seating position. The F4i has also addressed the “bland styling” issue with a striking new design (that is particularly attractive in the black/silver combination of our test bike). The F4i is, of course, fuel injected. 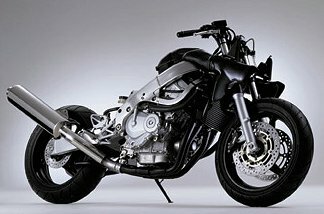 It is the third bike to be released in this class with fuel injection, following Triumph and, in the same model year, Suzuki. While we have not sampled the Triumph 600, we have already congratulated Suzuki for its superb fuel injection in each of its GSX-Rs, in part credited to its unique, secondary butterfly-valve design. Honda, of course, has tremendous experience with fuel injection, primarily in the automotive world. The fuel injection on the F4i is absolutely superb. The throttle response is crisp and instant, without suffering from the off/on abruptness of some prior fuel injection systems (including some systems from Honda itself). Although we still love Suzuki’s fuel injection in its GSX-R600, we have to confess that Honda’s F4i system is even better (although slightly so). Claiming a five percent increase in horsepower, Honda’s fuel injected 600 is an excellent street tool. With very strong mid-range for a 600 (probably, the best in the class — even better than Kawasaki’s excellent ZX-6R), the F4i pulls smoothly and with authority from 6000 rpm upwards. Throttle response is even smooth and predictable at much lower rpm, but, like most 600s, you will need at least 6000 rpm to generate significant thrust. The torque-rich motor of the F4i makes street riding a pleasure. Combined with this year’s stiffer chassis, the F4i feels bullet proof, predictable and stable. Honda has beefed up the headstock and other portions of the frame to create a better package for supersport racing. 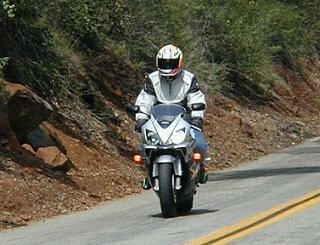 Although the bike is slightly heavier than the competition, Honda focused a great deal of attention on losing weight where it counts most, i.e., in the rotating wheels and brakes. Lighter wheels and brake discs contribute to quicker acceleration, shorter stops, and easier direction changes. This is due to the gyroscopic effect of the rotating masses. The F4i changes directions quickly, but retains excellent stability. Honda designed the F4i, as it does all its products, without a steering damper in mind. Even though the front wheel of the F4i becomes light while accelerating hard in both first and second gear, headshake was never a problem. Combining quick directional changes with a high level of straight line stability is a chassis designer’s art — an art applied well in the F4i by Honda. Like many of its competitors, the Honda F4i has an excellent six-speed transmission. Overall gearing was shortened slightly this year (one extra tooth on the rear sprocket) for quicker acceleration. The F4i certainly has plenty of acceleration. It is the only 600 I have ever ridden that will wheelie off the throttle in second gear (although, cresting a hill helps). Although power above 10,000 rpm falls short of the phenomenal GSX-R600 this year, the mid-range surge above 6000 rpm (as I mentioned earlier), where you will be riding ninety percent of the time in the real world, is top of the class. The F4i corners well and allows you to maintain a line, or change lines if you prefer, with ease. Feedback from the tires is good but, in my opinion, not quite up to the standards set by the GSX-R600 in this category. This could come down to suspension tuning, however, with the F4i having a more street-bias in its fork and shock. Instrumentation is complete and legible, but, oddly for Honda, the clutch cable was routed high enough to obscure your view of the tachometer. The digital speedometer and clock (that always remains on, even when the key is off) are very easy to read and are really becoming expected standard equipment in the class. A convenient low-fuel warning system gives you a precise measurement of your fuel reserves as the tank reaches empty. The seating position of the F4i is slightly more aggressive this year, with a slightly higher seat. It is now clearly less comfortable for long rides than the ZX-6R, but still much more comfortable and practical than either the GSX-R600 or R6. The seating position worked fine for me on long rides, but the seat is quite hard. A harder seat isn’t necessarily a bad thing (a too-soft seat can be uncomfortable, as well), but this seat is just too hard on longer trips. Brake feel and power is excellent. Not class-leading, but the brakes on all of the 600s these days are phenomenal and virtually overkill for street use. One other nit to pick is Honda’s use of a single, low beam headlight, while some other competitors (Kawasaki comes to mind) have two low beams. A bike as fast and as secure handling as the F4i deserves better illumination at night on low beam. High beam was fine. Honda and Suzuki have shown that fuel injection is now superior to carburetion in the 600cc sportbike class. Honda’s motor sets new standards in the class for smoothness and throttle response. The F4i is an excellent all-around street bike with its power concentrated where street riders will use it most. Striking the comfort/sport balance slightly more towards the sport side this year, Honda’s F4i has already proven itself a successful supersport competitor. First and second place at the AMA Daytona 600 supersport race (with Miguel DuHamel and Nicky Hayden aboard, respectively) proves this point quite well. The bike has great tuning potential for racing, and it shouldn’t be overlooked by the rider who wants a bike for track days or club racing. The extremely light wheels and brake discs erase the slight weight penalty associated with choosing the F4i over some of the other 600s. In summary, the F4i is another excellent 600 from Honda that strikes a reasonable balance between the sport and comfort goals required in the class. It also has vastly improved styling (in my opinion) over its conservative predecessors, and the best fuel injection system in the business. 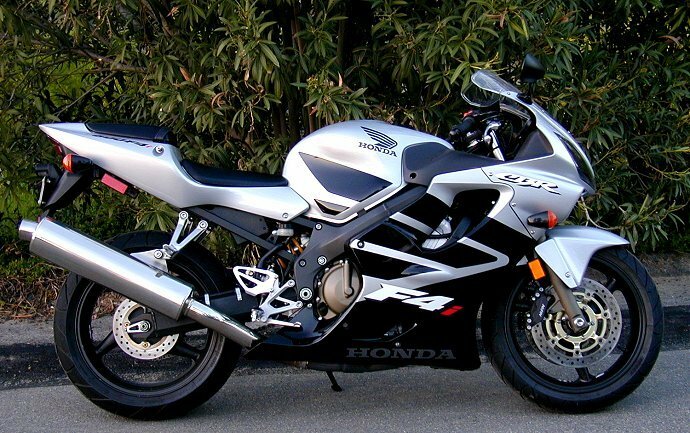 The U.S. MSRP of the 2001 CBR600F4i is $8,199.00. Visit Honda’s CBR600F4i home page for more information and specifications. Take a look at our press intro report for the thoughts of pro roadracer Jeff Whitmer on the F4i’s performance at Las Vegas Motor Speedway.